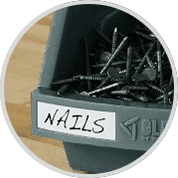 These Bins are great for storing nuts, bolts, nails & screws. 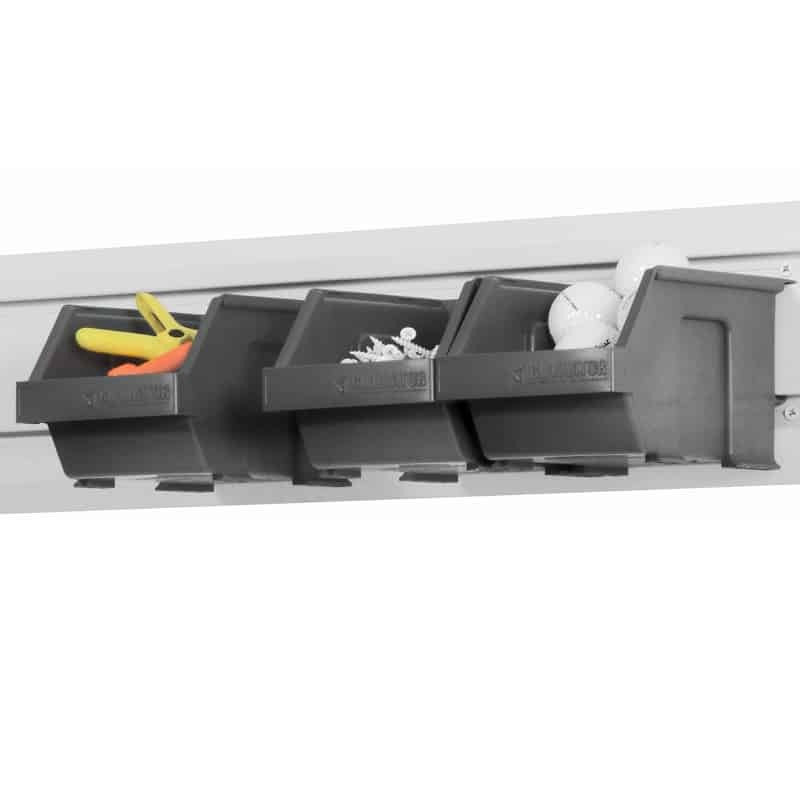 The sizable opening in the front of the bin allows easy access to the items stored inside whether the bins are stacked or hanging individually. 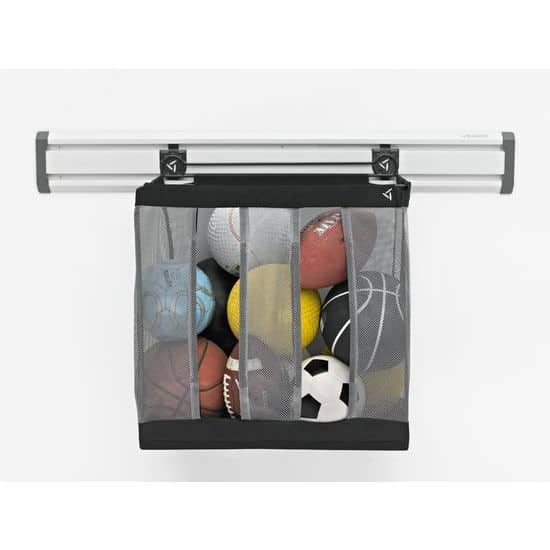 Comes with 10 adhesive labels. 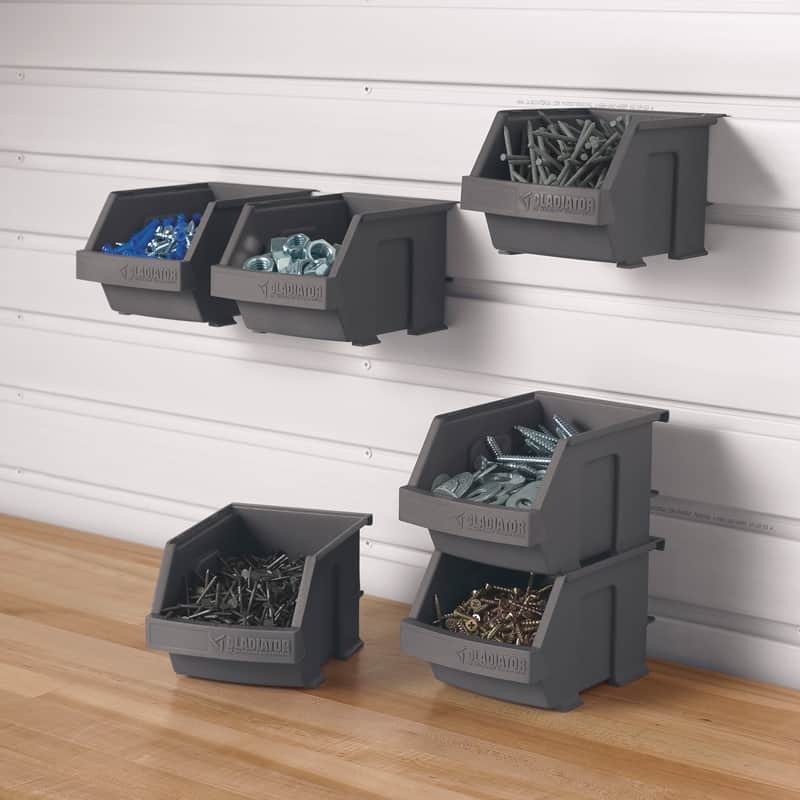 Friction Tabs It is great for keeping tools, kids backpacks and other small items within easy reach.Friction locks keep Gladiator Bins stable when loading and when storage needs change the Bins can be easily repositioned on Gladiator Gearwall and Geartrack. 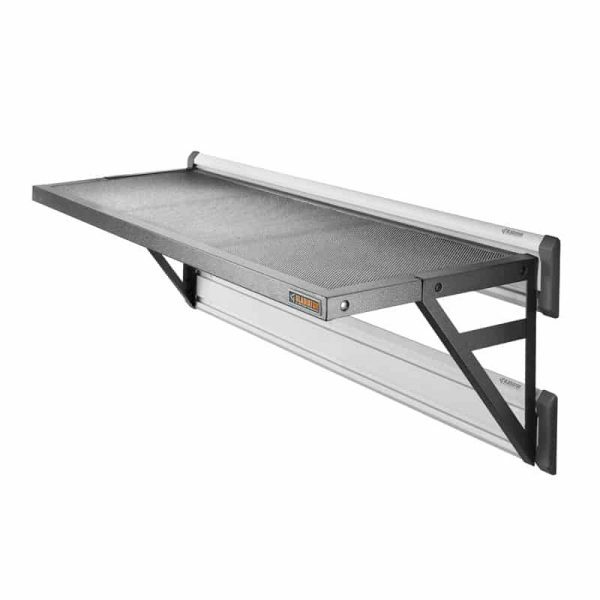 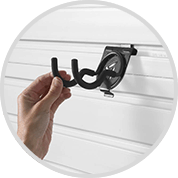 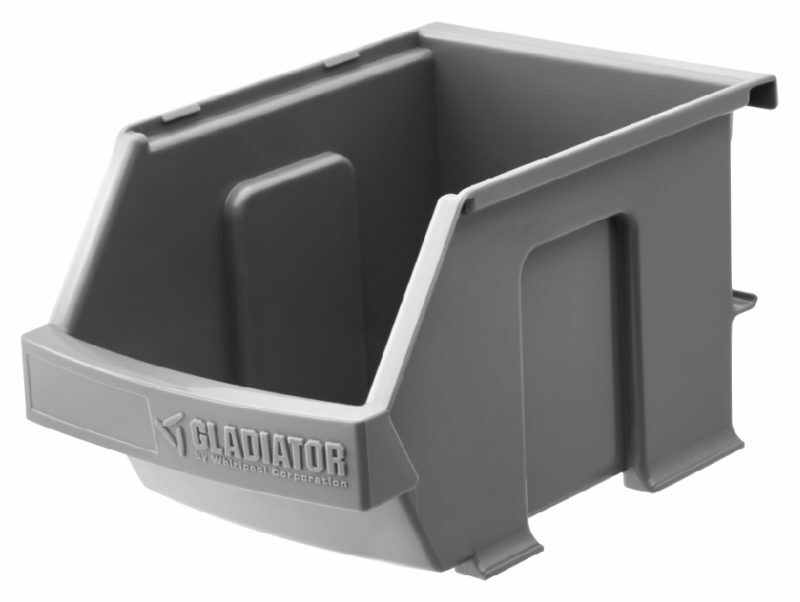 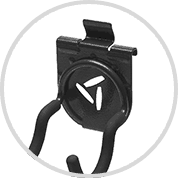 The exclusive design allows the lower tabs on the back of the bins to hold the bin securely to the double channel design of Gladiator® Wall Systems, reducing the risk of knocking the bin off the wall. 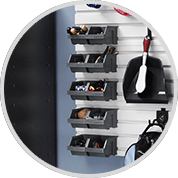 These bins come with adhesive labels to give your items easy organization. 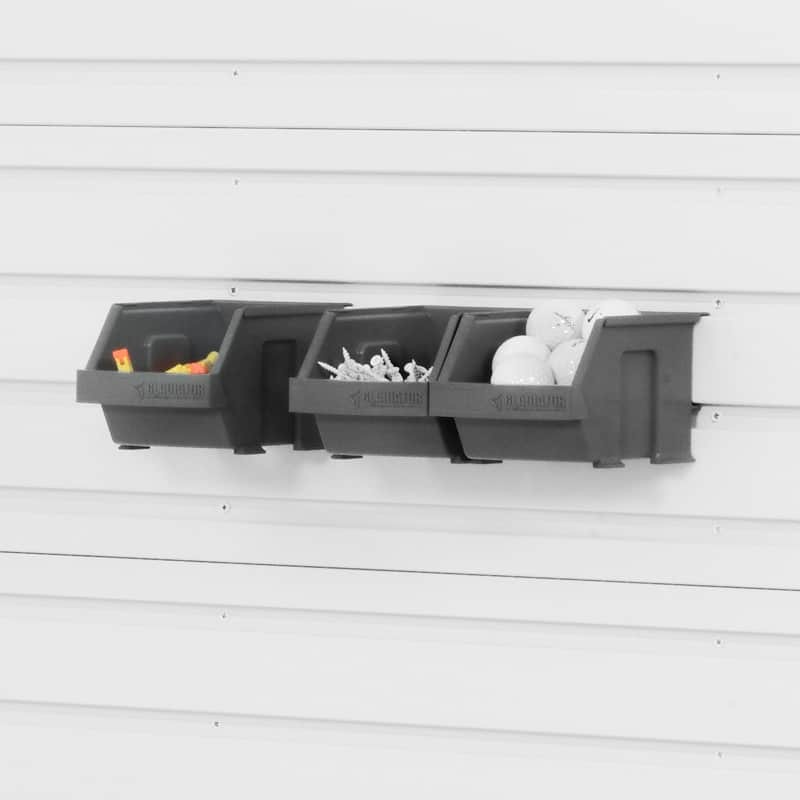 The large opening in front of the bins allows easy access to nuts, bolts and other smaller items stored inside whether they’re stacked or hanging individually. 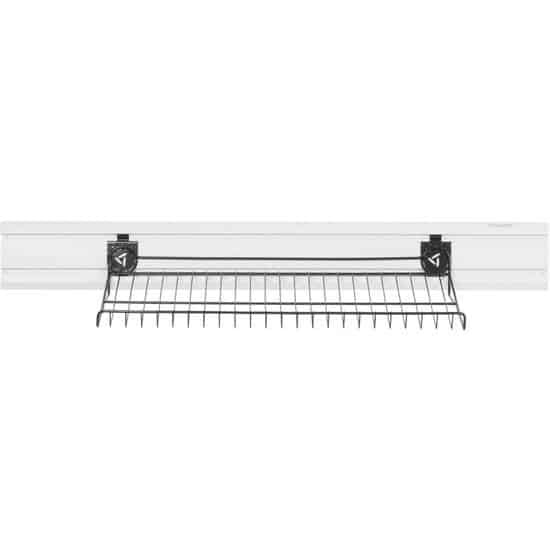 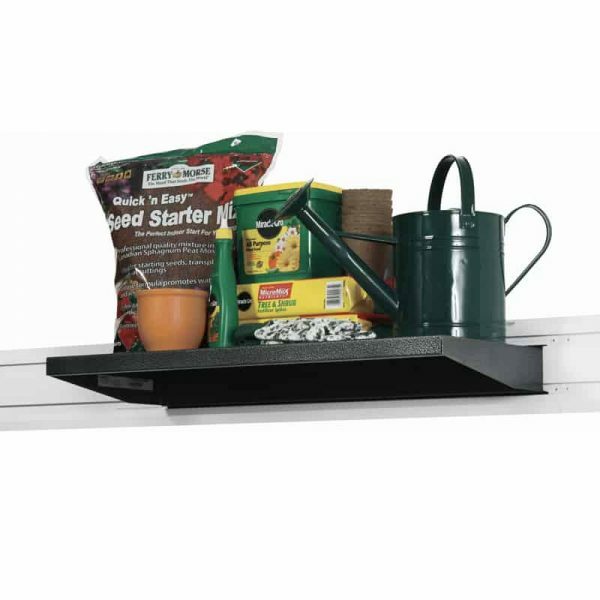 This deep shelf can be mounted below the brackets for bookend-style shelving or above them to create a continuous line of shelves.